Blake’s Hard Cider Co. is an independent, family owned Michigan craft cidery offering an adventurous exploration of all things cider. By growing, pressing and fermenting our own apples on our farm we’re able to introduce an un-compromised craft hard cider. 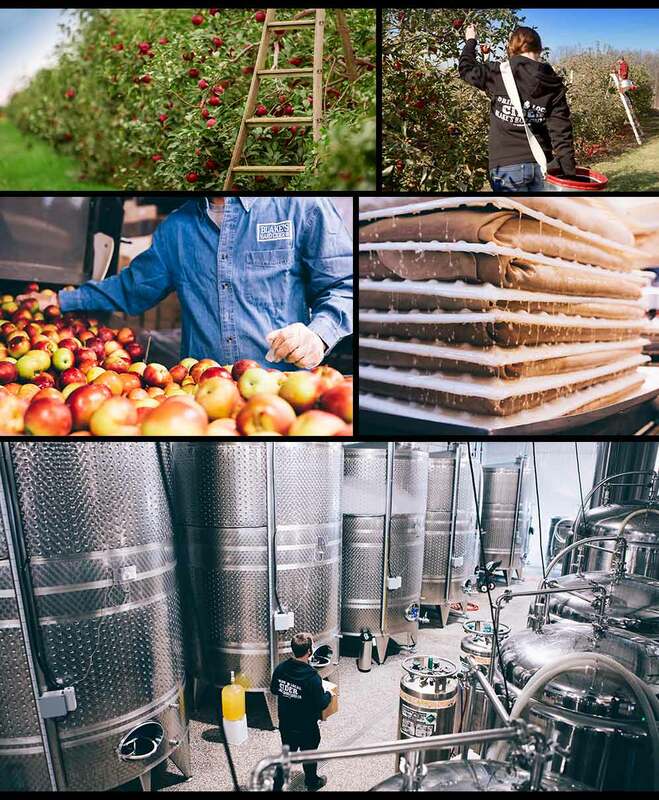 By growing, pressing and fermenting our own apples on our farm we’re able to proudly and consistently introduce a truly authentic and uncompromised craft hard cider experience. 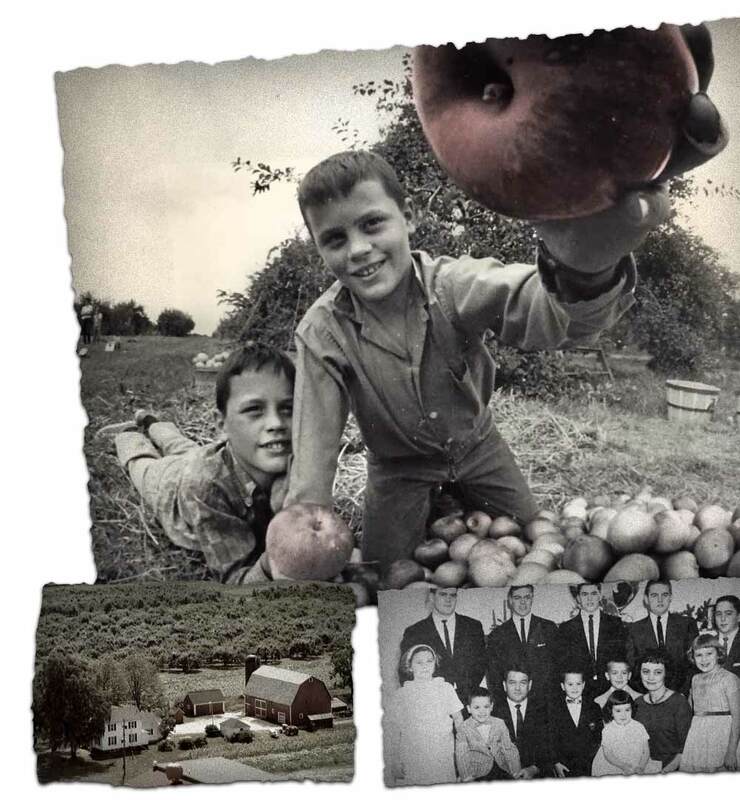 With a desire to explore farming, in 1946 Gerald and Lovey Blake moved their family of 13 kids out of the suburbs and on to a hundred-acre plot of land in Armada, MI with a 3-bedroom farmhouse. Twin brothers, Pete and Paul Blake, returned after graduating from Michigan State with an interest in growing what their family had built over the years, adding more diverse experiences for visitors. 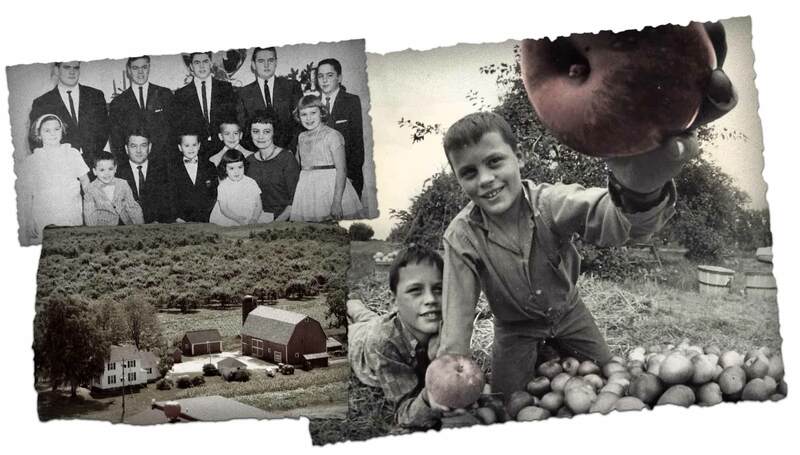 Years later, Paul’s son, Andrew Blake, who had grown up working on the farm with his family, returned to Armada with a desire to explore hard cider. With his family’s blessing and support, Andrew founded Blake’s Hard Cider in 2013. Made with 100% Michigan apples, our apple cider base is NEVER from concentrate. While others look to caramel coloring and artificial flavoring, Blake’s Hard Cider attributes its unique and authentic profile to the apples grown in our backyard. WHAT MAKES BLAKE’S CIDER BETTER? With over 70 years of apple harvesting experience, we’ve perfected a 5 apple blend, creating a cider base that’s truly derived from our backyard. Our ciders contain nearly half the sugar of national leading cider brands. We pride our ourselves in offering customers a taste of our orchard, instead of concentrate and additives. Having the ability to grow, press, and ferment on our farm allows us to craft the freshest all natural & gluten free hard cider. Come out and see why we were voted one of the “Best Bars in America” by Esquire. 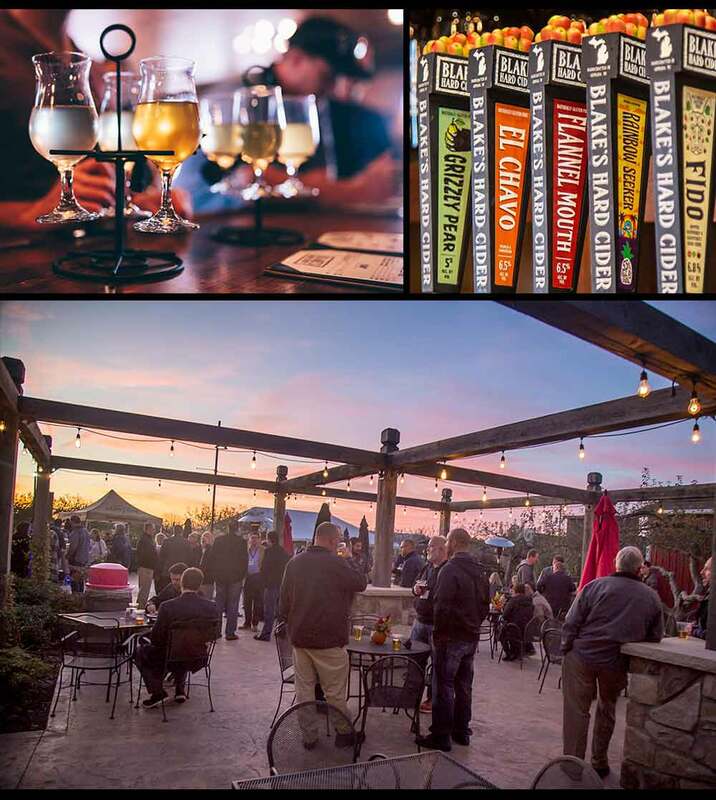 Aside from the delicious food we offer in our Tasting Room, we also feature ciders on tap that you can not buy in stores as well as a variety of wine & craft beer brewed on our farm. For those who can’t make it out to the farm fortunately for you we are distributed in 18 states and growing. Use our Cider Finder to locate some near you.